Here at GB Posters we despatch thousands of orders each week – and once an item leaves our warehouse they are sent to loving new homes and sadly we don’t get to see them anymore – but we’re about to change all that. We’ve lauched a brand new social sharing scheme and we want you to share your products with us using Facebook, Twitter and Instagram! It doesn’t matter if its the latest Fantastic Beasts poster or the classic L’Enfant from 1987 – if its got a special place in your life we want to see it. Your room might be entirely coated with our posters or it might be your bag covered in our badges – or perhaps your unruly set of keys is all harnessed with one of our keyrings – submit them all, we’ve got no limit on the number of unique entries and if your not lucky enough to be selected as a winner worry not – simply submit your entry during the next month for another chance at winning! 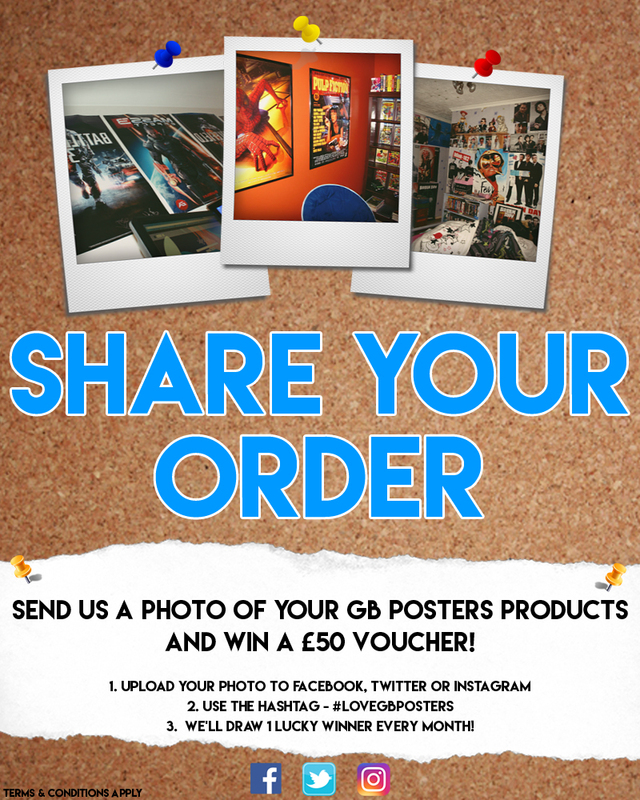 Simply share your creations on any of our social channels using the hashtag #LOVEGBPOSTERS we’ll collate all the entries over the course of each month and then announce a winner who will be presented with a £50 gift card to use on site.